Wanderlust is a wonderful thing. It encourages us to aim higher at all times. It gives us the desire to experience new things. Of course, even with that wanderlust bug, we travel for different reasons. Whatever your reason for getting away, your traveling desires give you the chance to change your life, or someone else’s. If you’ve started to feel unsatisfied with your adventures, there may be more than wanderlust at play. It’s just possible that you aren’t making as much of your travels as you could. But, how do you make sure you get the most out of every traveling experience? I’ve got some suggestions that could take your travel to a whole new level. The seasoned travelers among you will know that traveling can be a spiritual experience. Why not take that to a whole new level by seeking a spiritual awakening during your time away? Nepal is a fantastic place to go to get in touch with all things spiritual. Even if you aren’t interested in Buddhism, a trip here could open your eyes to something you never knew. You’ll get the chance to visit magnificent Buddhist temples. You could even book yourself in for a stay at a monastery. Whether you practice Buddhism or not, meditation can lead you to a calmer life. You’ll also learn discipline during your stay, which you can apply to many aspects of your life. Volunteering is a fantastic way of giving something back during your time away. You’ll get the satisfaction of making a difference. You’ll also have an experience you’ll never forget! Volunteer in Ghana and make the most of the opportunities available to you. From working in a school to helping with wildlife conservation, there’s something for everyone. This is a fantastic way to experience Ghana in a way few people get to. You’ll be able to interact and help locals. With a bit of luck, you’ll change a few lives during your stay, too. This African country would be an amazing place to volunteer. Remember, you’ll have a little downtime, too. You could visit the Museum of Ghana to get even more acquainted with the culture! It’s crucial that you plan to stay healthy while you travel. This will help you to feel great as you explore! Make smart choices when it comes to food, drink plenty of water and avoid excessive drinking/smoking and other bad habits. You should also consider the best vitamins and supplements for travel. You might just return home feeling better than when you left! Traveling gives you the perfect opportunity to tick a few things off your bucket list. Why not visit a world wonder on your journey? A trip to India will lead you to the iconic Taj Mahal. Built by the emperor, Shah Jahan, the building was to tomb his beloved wife. 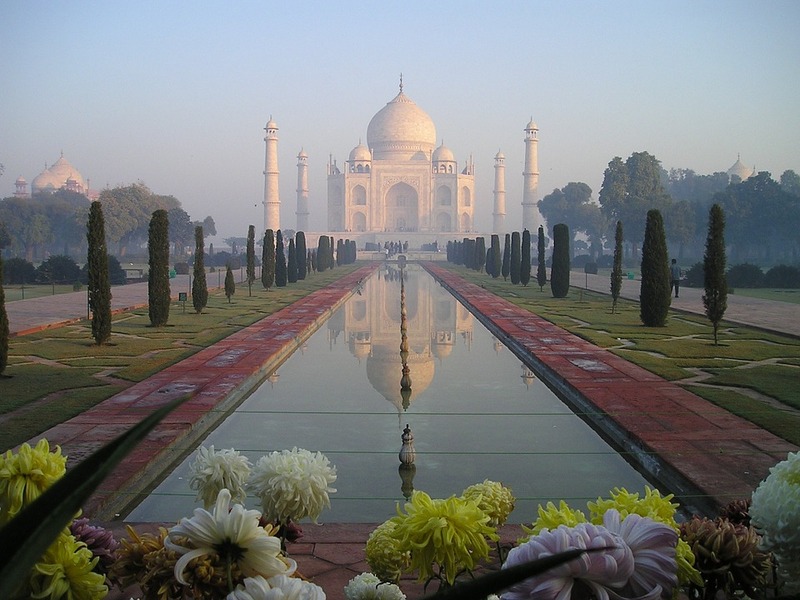 In the years since the Taj Mahal has become a top tourist site. It’s a wonder that no trip to India would be complete without. Whether you go on a guided tour, or just take a picture of yourself outside the building, you’ll be glad you took the time to see it. If the Taj Mahal doesn’t sound like your kind of place, get to grips with the other wonders out there. From the pyramids to the Eiffel tower, you won’t be disappointed!